NASA completed tests for engine systems designed to support the deployment of the initial four Space Launch System rockets to space. Sixteen RS-25 engines underwent hot fire demonstrations have accumulated 14,700 seconds through 32 developmental tests since 2015, the agency said Friday. NASA Administrator and 2019 Wash100 Award winner Jim Bridenstine testified during a Senate hearing that the agency plans to use a commercial rocket to launch the Orion crew capsule for a three-week mission to the Moon, The Verge reported Wednesday. 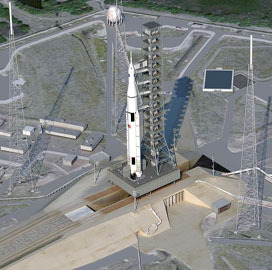 Exploration Mission 1 was intended to be the debut launch of NASA’s Space Launch System, but has been continually delayed and was recently scheduled for a June 2020 launch. NASA will receive $21.5B in fiscal year 2019 funds under an appropriations package that President Trump signed into law Friday, SpaceNews reported Sunday. The proposed appropriations for the agency reflect an increase of $1.6B over the administration’s original budget request. NASA has confirmed Jody Singer, a 33-year agency veteran, as the director of the Marshall Space Flight Center. 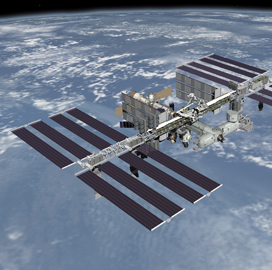 The space agency said Friday Singer will oversee the installation’s civil service and contractor workforce and annual budget of $2.8B. 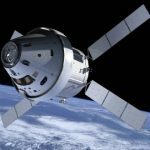 NASA is set to conduct the last in a series of tests to qualify the use of the Orion spacecraft’s parachute system for missions to the moon and other outer space locations. The eighth and final test of Orion's parachute system will take place on Sept. 12 at Yuma Proving Ground, Ariz., the space agency said Friday.